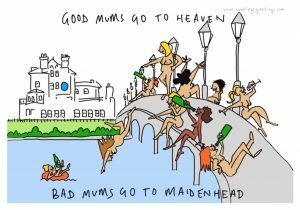 Are you a good mum? You are? Bad luck. You’ll be getting candles and cushions for your Birthday this year. The rest of us can enjoy giving and receiving this piece of particularly fine Art.